Super Silver Haze is a Sativa dominant strain with an 80:20 sativa/indica ratio. What really sets this strain apart from the rest is that it is quite fat with medium foresty-greens with unique brownish-orange leaves. It is as tempting as it looks and is extremely delicious with its fruity and sweet aroma. However, unlike other strains, you do not have to worry about it leaving a bad aftertaste. Super Silver Haze Strain tastes incredibly smooth and sweet and is creamy like peaches. After smoking the strain you will come to realize it is quite strong and creates body-oriented buzzes instead. However, these buzzes are sleep-inducing and relaxing which is why you should not expect them to wake you up or energize you. But then again it offers a lot more and is a complete package as it lasts longer than the usual strains you are accustomed to. Moreover, Super Silver Haze is also the perfect remedy for a number of different medical conditions. Super Silver Haze Strain can help you overcome anything from muscle cramps to depression. Additionally, its lasting effects allow you to achieve relief for longer periods of time. 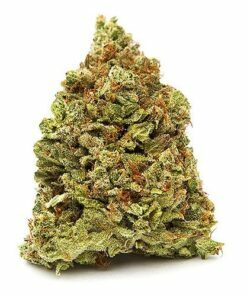 So if you are suffering from chronic pain, Super Silver Haze will do more than just tone it down for you.